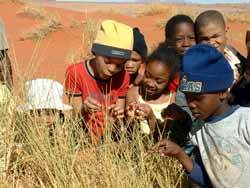 NaDEET’s Response: At NaDEET Centre, children and adults explore the rich biodiversity of the Namib Desert. They learn about the adaptations of different animals and plants in this extreme environment and adopt these in their own living practices. 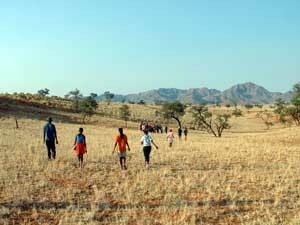 Participants explore the inhabitants of the Namib Desert on a morning dune walk. They encounter various plant and animal species such as the Smelly Shepherd’s Tree, White Lady Spider and Tok Tokkie Beetles. 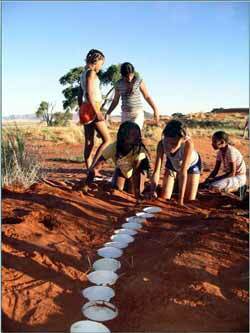 Two kinds of traps are set out in the evening to catch nocturnal small mammals, insects, arachnids and reptiles. In the morning participants identify what they have caught and investigate the adaptations before releasing the animals again. Become interested in your local animal and plant life. Learn more about how animals and plants are adapted for survival. Respect all living beings and acknowlege their importance in the ecosystem. Participants explore plant and animal adaptations by creating artwork. 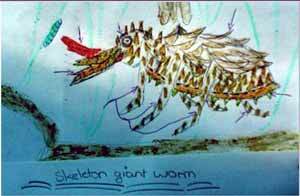 Primary school children invent their own ‘Super Adapted Desert Animals’. 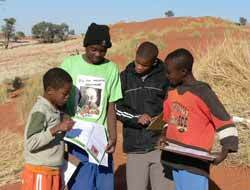 Secondary school children make posters to illustrate the different commonly found biodiversity classes – mammals, plants, insects, arachnids, birds and reptiles – in the Namib.